You are visiting friends in Pittsburgh, and you’ve just stepped off the bus at Grant Avenue downtown. It’s a beautiful, clear, sunny day, and your pals text you: we’re going to see the Pirates today. Grab some pirate stuff and meet us on the Roberto Clemente bridge.” Obviously, you’re new to Pittsburgh, but “pirate stuff” seems pretty straightforward. 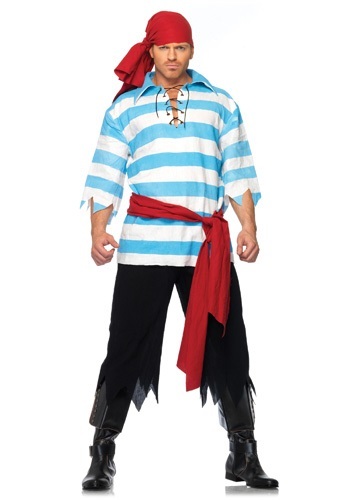 So imagine your surprise when you walk into PNC Park in this Men’s Pillaging Pirate Costume. You’ll be happy to know while the blue- and white-striped shirt and black jagged hemmed pants of this ensemble aren’t the standard black-and-gold local game attire, you likely won’t be the only person in a crowd of thousands donning this outfit’s bold, red waist sash and headscarf. Probably. And we admit, it does like the perfect outfit for going to see some pirates; you’re totally transformed into a swashbuckling scoundrel of the sea. You’ll feel right in character to go rob a British trading vessel, or find some buried treasure on a distant island shore. And you’ll likely make it onto the Megatron. But hey, at least now you have a killer costume for Halloween. 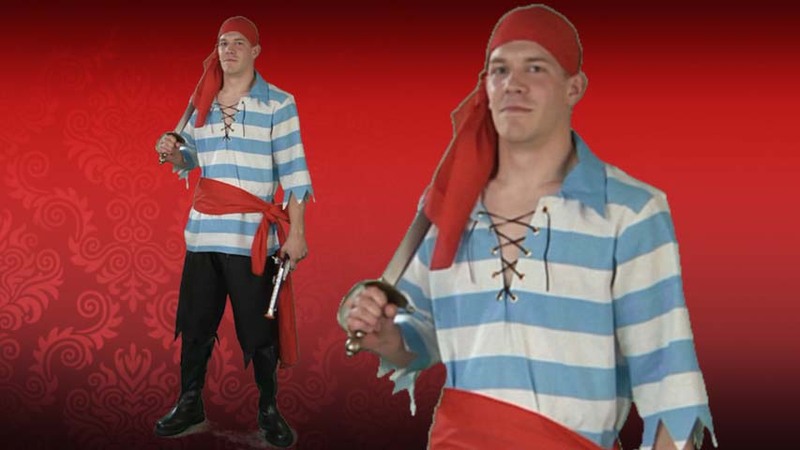 If you ask us, you can’t go wrong with a solid pirate costume like this one. Just make sure that you’re actually going to a pirate party next time and not a baseball game, unless you like a lot of attention.